Dr. Juliet E.K. Walker writes about the history of Black entrepreneurship and calls attention to the ways entrepreneurship has been at the center of Black progress in America. Historically, Black women worked as seamstresses, babysitters, beauticians, cooks, and bakers in the home, in addition to their full-time jobs, especially if they possessed the talents and skills to do so. It wasn’t until a few years ago that I realized their normal extracurricular activities were actually entrepreneurial efforts to help Black women support their lifestyles or families. Today, the long standing tradition continues. According to the National Association of Women Owned Businesses (NAWOB), more than 9.1 million companies are owned by women, employing nearly 7.9 million people, and generating $1.4 trillion in sales as of 2014. NAWOB also reports that one in five multimillion dollar companies are owned by a woman. The Center for American Progress reports that African American women start their own businesses at six times the rate of the national average. In 2013, African American women led companies generated $44.9 billion dollars in revenue and these companies employ over 270,000 individuals. I grew up in an entrepreneurial family; both sides of my family ran their own businesses. I recall my grandmother and her friends hosting bus trips, picnics, and fish fries a couple of times a year during my childhood, while my other grandmother was on the governor’s board and ran her own substance abuse center. Both women ran their operations to generate income and serve their community. This is not unique. The entrepreneurial spirit of Black women has always been part of Black culture and advancement. Black women’s business efforts have always inspired me. I studied entrepreneurship as an undergraduate student and I am currently exploring ways to launch my own company. I imagine many of us know other women that use their talents and skills to generate funds—whether it’s baking for others in the community, or working as a babysitter or nanny. These women are entrepreneurs! Today, when we see lists of successful Black women entrepreneurs, we often only see the names of entertainers. However, I wanted to present a list that has a more diverse mix of women. I wanted a list of everyday women who started with a dream and built successful companies from the ground up in a range of industries. Read about nine incredible Black women CEOs and entrepreneurs below. This mini beauty mogul is 14 years old and already has 4 years of business experience under her belt. With support from her parents, Zandra started her own health and beauty line at the age of 10, after her dad refused to give her money for make-up. This enterprising young woman turned her father’s “no” and a favorite hobby into a successful business venture. Today, Zandra continues to sale health and beauty products, and speaks to other young women about confidence, success, and running one’s own business. Janice Bryant Howroyd is a graduate of North Carolina A&T University. In 1978, Janice started an employment agency, Act•1 Personnel Services, as a single-office operation. Today, the company is known as the ACT•1 Group, an expansive global operation that employs more than 1,300 people in 240 satellite offices in the U.S. and eight other countries. The company offers a range of services from employee background checks to executive travel management. ACT•1 is the largest woman of color owned employment agency in the United States. Kim Wales, is the founder and CEO of Wales Capital, a global management consulting firm. She is described as a change agent, lobbyist, and advocate, as well as a leader in business strategy and growth. Kim has 17 years in international and domestic banking experience, and has worked with financial institutions such as Morgan Stanley and Chase Manhattan Bank. Wales is one of the top global experts in securities based crowdfunding. Her business sense and understanding of employment led her to be one of the leaders in the Job Acts legislation. Tina Wells is founder and CEO of Buzz Marketing, a New Jersey market research and service firm. She started the company at 15 years old, after answering an ad in the back of a teen magazine. Now, 16 years later, she is a marketing industry leader after having acquired over 9,000 youth to work with her on teen-focused market review on fashion, social media, and lifestyle. Her company has also expanded to provide insights on Millennials, moms, and multicultural consumers. She is also a teacher with Black Enterprise’s virtual university. 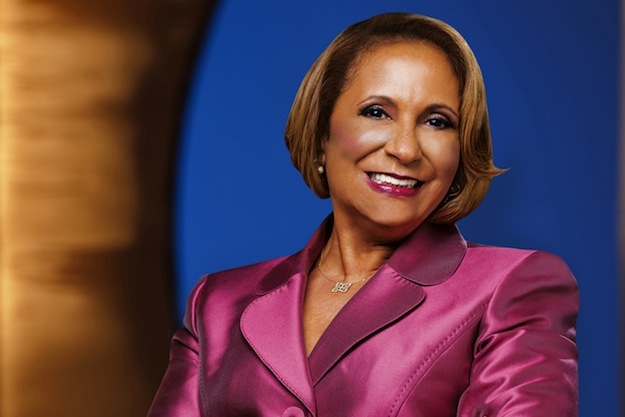 Cathy Hughes is an academic, entrepreneur, radio and TV personality, and mother. She is also the first African American woman to lead a publicly traded media company, Radio One. Hughes was born in Omaha, Nebraska. After founding Radio One in 1980, she went homeless and resided with family while raising her son and striving to keep her radio station alive. However her perseverance and tenacity won her much success. In 2004, Hughes also launched TV One, a cable network that focuses on lifestyle and entertainment for African-Americans. Tracy Reese is a native of Detroit. As a young girl, she loved to sew alongside her mother. Her childhood pastime became a life-long love. Tracy started her first fashion line out of college with a loan from her father. The company folded and she went to work for other labels. But she never gave up on having her own fashion line, so with advice from friends like Marc Jacob and financial backing from international business partners, Tracy started her own brand for the second time. In 2015, she opened her own New York store, but Tracy Reese Designs can also be found in Bloomingdales and Neiman Marcus. Kisha Barner is founder of Pure Ambiance Event Design. Kisha started the company while planning her own wedding. Today she leads a team of eight women who help bring their clients’ dreams to life. In less than a decade, Kisha has turned her event planning business into a luxury brand for celebrities and brides in the New York, Pennsylvania, and New Jersey area. The company has worked with artists such as Angela Simmons, Kevin Hart, and Meagan Good. Recently, Pure Ambiance designed a lounge space for The Knot at New York Bridal Fashion Week. Deidre Jeffries is a native of Washington, D.C and credits the diverse culture of the city with influencing her view on fashion. She has worked as costume designer for The Oprah Winfrey Network and major feature films. In 2011, she launched her own line, ESPION Atelier. Her designs have been worn by major celebrities such as Alicia Keys and Jada Pinkett Smith. Dr. Ellis is an alum of Xavier University and a graduate of the University of Medicine and Dentistry of New Jersey. In addition to being a dentist, she is also a business owner. She owns and operates her dental practice in Texas, leading an all-woman staff. Smile Design Studios focuses on specialized services, such as cosmetic dentistry, veneers, and implants. She has served as President of the Houston Minority Dental Association, and has been recognized by the National Dentistry Organization and several other organizations for her work. Juhanna Rogers is a regular contributor to For Harriet.